One angle to consider is who throws the ball better in wet weather? It might rain during the game but even if it doesn't, it's supposed to rain Saturday and Sunday and possibly into Monday afternoon. If the ball is wet and the field is sloppy, who does that favor? Like you said, I don't think Clemson coaches will let team get down 14 or 21 early. Watching OU try to run the ball up the middle for three series in a row and get down three TD's before making changes was brutal. I don't think Clemson will give up the big yardage plays that OU did either. I think Clemson will move the ball vs Bama. I don't believe Tua will have all day to make decisions back in the pocket. I really see a close game with both teams getting points and stops. Good luck with your play, Sir! Plus I couldn't understand why Oklahoma didn't take the ball when they won the coin toss.... Never understood that. Young coach....who will learn. 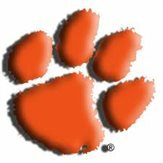 What areas do you think Clemson and Bama will win vs each other? what areas do you see Clemson winning and what areas do you see bama winning? #3...Bama has the best OLine in the country....They have been battle tested with Miss St Dline..who is slightly rated lower on DL but IMO has a better overall defense than Clemson.Clemson has a weak secondary. I think Bama playing OK gives them a huge edge...and Clemson facing Ian Book who scared all night..
#5..Has Trevor Lawrence performed under pressure..and how will he do when he gets smacked in the mouth...The answer is no..had not been pressured and is the biggest questions of them all.. Tua had performed on the biggest stage already..
Dismissing Clemson and/or saying they're not battle tested is a little silly don't you think? Hey men.... as I walk away for the bowl season I will give you all my thoughts on this game. I'm gonna break this game down for you from my perspective. I think there are several areas that maybe you haven't heard that will factor in this game and hopefully I can help share what I think is and will determine the outcome. 1) Can Clemson handle the knockout punch Alabama will try to throw in the first 10 minutes? If you have been alive for the last 10 years you would see and know that Bama is THE best at punching you in the mouth to start a game. The other night was a perfect example in the Oklahoma game... It was 28-0 before most people finished their first beer! Trust me... Bama and Saban are THE best at doing this to teams. 2) Can Clemson block Williams in the middle? The answer is both yes and no...?? No at the first part of the game... I don't think it's smart game planning trying to act as if he's just another guy on somebody's DL. He is disruptive and will make plays so you have to scheme around him. Yes as in I think he fatigues easy... by the time the 3rd quarter comes he will fade... watch the tape. He was a non factor about midways through the 3rd quarter the other night. Clemson must run plays and keep him tired. 3) Can Alabama handle the Clemson DL? No....and no. Nobody can... Don't feel bad about it, nobody does. Clemson losing Dex is HUGE.... but the depth at DL is silly on this team. They will run 10 guys on the filed at any time and will wear you down through the game. Watch out for true freshman Xavier Thomas... .Clemson uses him what they call the " NASCAR " package. They take the big DT usually Dex out on third and medium to long downs and essentially run 4 pass rushers at you....and trust me.... you can't stop it. 4) Running the ball.... at some point in this game both team will have to prove they can run the ball. Clemson is the best in the country at stopping the run and will handle these backs for the most part.... Alabama is always good at stopping the run but Etienne is a different type of back that I don't think Alabama has seen. He can do a lot of things and will stress this Alabama defense. 5) Tua.... If Tua is pressured how will he perform? I don't think he was tested last week against Oklahoma so it's really hard to say if that ankle is " really " healthy yet... He will be hit in this game and he will have to move his feet. If it were me I would send pressure to move him out of his comfort zone and test if he really is able to move around yet. Either way..... Clemson can't sit back and play coverage. They have to send pressure cause if they sit back and play coverage then Tua will kill them. 6) Trevor Lawrence.... is this guy seriously a true freshman? I think this might be the best NFL talent at the QB position iv'e seen in 20+ years doing this. Can he handle " Alabama ".... I think he can. He has an ability to read coverage's and use the cannon for a arm like none I've ever seen. Who am I taking? Seriously? Was really nice seeing you back in here Boom. Hell of a bowl run. Best wishes & great health to you and yours in 2019..
Classy guy as always. I taught you well. bamastump - if all you need is LSU... then yes, always hedge my friend... you can never go broke taking a profit. Boom.... You're just as popular now as you ever were. It's like you never left. Lol. And pretty much without any haters. Great way to end a year and to finish off the upcoming end of another fun ncaa football season. What I care about is the that story Dubleup4life told me about his cousin.... That's what I get a kick out of. Money is nice... But as I said for many years on here I care about this game... I love it. If I can honestly help or share something I care about with others and it benefits them... then great. The advice I have gave guys on here for years is to love the game.... Love it... Watch it and use your eyes... Block out any bias you hear or see....Once you Love this game and really follow it... Picking these games comes easy. Don't love money. That's not lip service either... I mean that. Please just stop using this phrase Boom -- "it's not even close"
Oklahoma has the BEST offensive line in the country and it's not even close... so they WILL rack up some running yards with the backs and Murray. The BEST OL in the country (and it's not even close) can only make way for 163 yards on the ground and give up 3 sacks and 4 TFL. Your bias is kinda showing . . . and it's not even close . . .
Look... Hollywood Brown was not healthy. Would have been nice to see him 100%... Don't say it wouldn't have mattered.... cause it would have. also....... I find it odd how Bama seems to get away with so many questionable roughing the passers and clear PI on WR.... They committed I know 5 PI in that game where it wasn't even close... but yet the just seem to get away with it. The power drive by the big DL..... just nothing, any other team gets the penalty and the player is probably tossed. Boom, would you say your confidence level is very high on Michigan, and Virginia today ? Totally agree with you on Clemson, and Oklahoma covering. Don't know about Michigan... Michigan is the right side IMO... Like I said earlier... we will know early on Michigan.